Rainbow – the largest animation studio in Europe and one of the world’s biggest licensors – and SIMBA DICKIE GROUP, global leader in children’s entertainment and one of the top five toy manufacturers, are ready to shine with the first products for the new live action girls’ series about fashion and friendship, Maggie & Bianca Fashion Friends. This entirely original range of toys is now hitting the shelves across Europe. They bring together all the innovative, engaging and appealing aspects of the show, with fashion and music as key drivers. This wide collection focuses on market trends and includes fashion art & craft, role play, musical and electronic items. It’s a toy line that embodies the concept of ‘expressing yourself’ – allowing girls to enter into the world of the show and to find and express their own style and personality – and has everything a young fan needs to emulate Maggie and Bianca – the stars of the show! 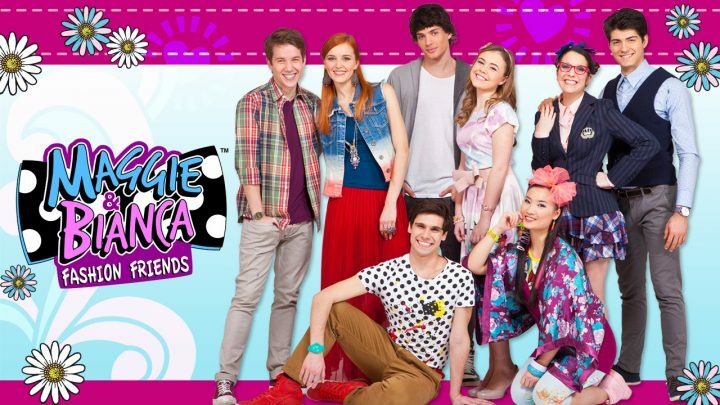 Maggie & Bianca Fashion Friends is first ever full live-action production by Rainbow. The show is a tale of two cultures coming together, in the shape of young American girl Maggie and Italian ‘princess’ Bianca. The story follows Maggie as she begins her dream scholarship at the Milan Fashion Academy. Here she meets Bianca and together they embark on a friendship that leads to secrets that change their lives forever. This enthralling new show has three key themes at its heart – music, fashion and the power of friendship – and promises to delight fans across the world. Rainbow Group is one of the largest animation studios in the world and a leader in kids’ entertainment, employing over 1000 people worldwide. The company comprises many divisions, including Canadian animation studio Bardel, Rainbow CGI, Rainbow Entertainment, Tridimensional, Witty Toys and Rainbow Internazionale. Successful content distribution through TV, theatre, and online, as well as via consumer products, makes Rainbow one of the world’s biggest licensors.